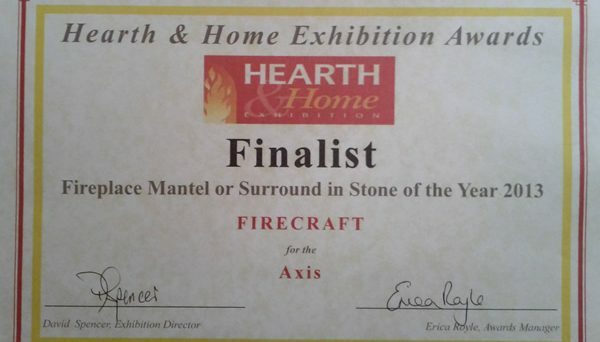 Firecraft were very pleased to be a finalist in the Fireplace Mantel or Surround in Stone of the Year 2013 award at the recent Hearth & Home Exhibition. The exhibition held in Harrogate, Yorkshire 8th – 10th June was well attended and for the Axis Fireplace (details to follow in the site portfolio shortly) to be recognised by the judges is exciting. Why Choose A Handcrafted Fireplace?